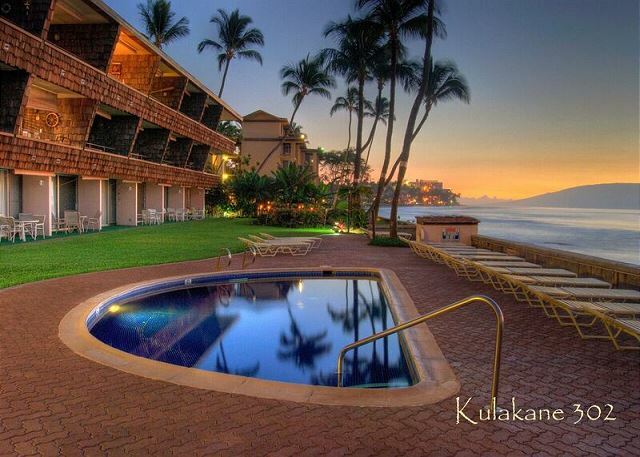 The condominium is located on top (3rd) floor of our small, low-rise complex, just north of Ka'anapali. 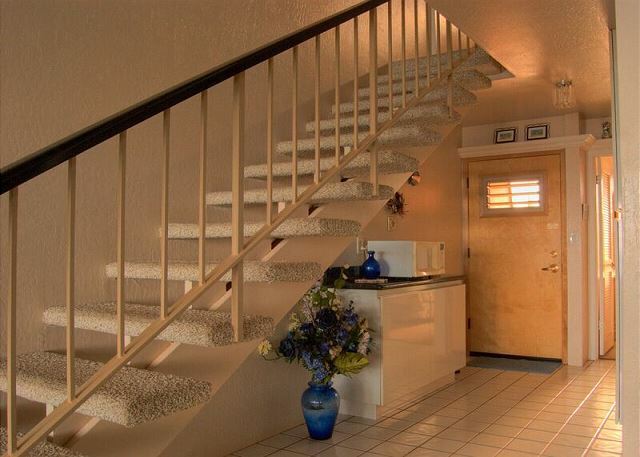 Open, bright and private, this updated two-story townhouse condo features 2 enclosed bedrooms, 2 full bathrooms, a full kitchen and a separate loft office/reading area with computer and printer/scanner. 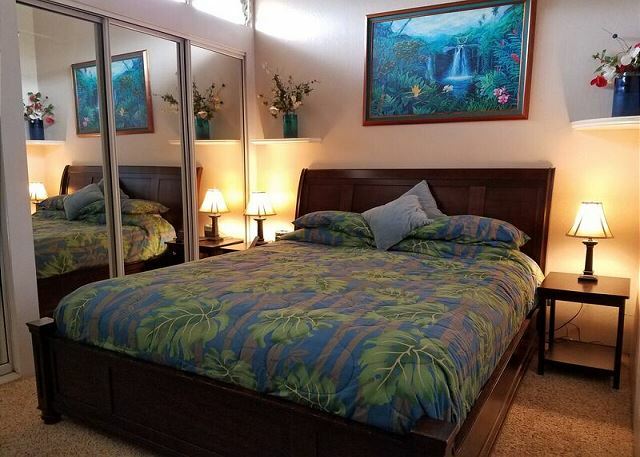 Enjoy one upstairs bedroom with California King size bed, and one downstairs bedroom with Queen size bed. Both bedrooms are enclosed (unlike some condos that count an open loft as a second bedroom.) Great for two couples or singles traveling together. 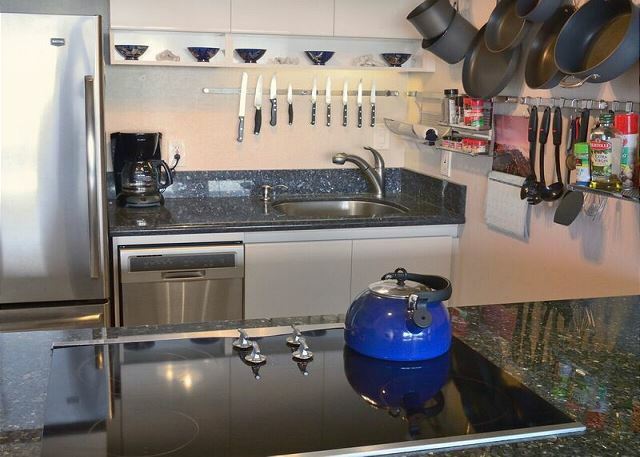 Fully-equipped granite kitchen includes coffee maker, dishwasher, Jenn-Air radiant cooktop, conventional/convection and microwave ovens, rice cooker, refrigerator with ice maker, oversized disposal, toaster and blender. New stainless refrigerator, dishwasher and new carpet throughout. 50" wall-mounted flat-screen smart TV in the living room, Blu-Ray/DVD player and stereo with input for MP3 player/iPod/smart phone, 30" flat=screen TV with DVD player in upstairs bedroom. Digital cable service and broadband wifi throughout the complex at no extra charge. 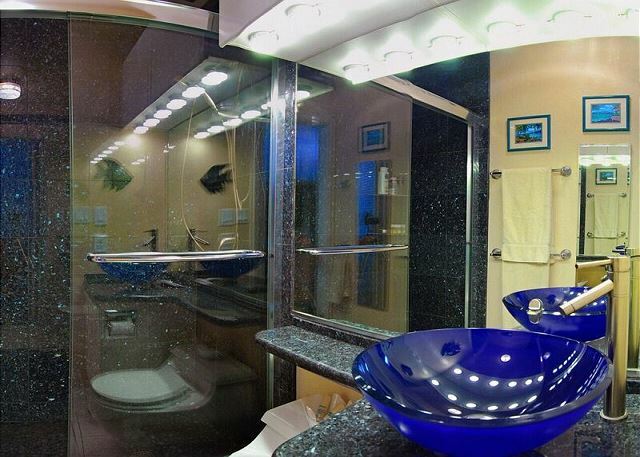 Two identical bathrooms feature walk-in granite showers with height-adjustable shower head/hand shower, granite counters, and vessel sinks. 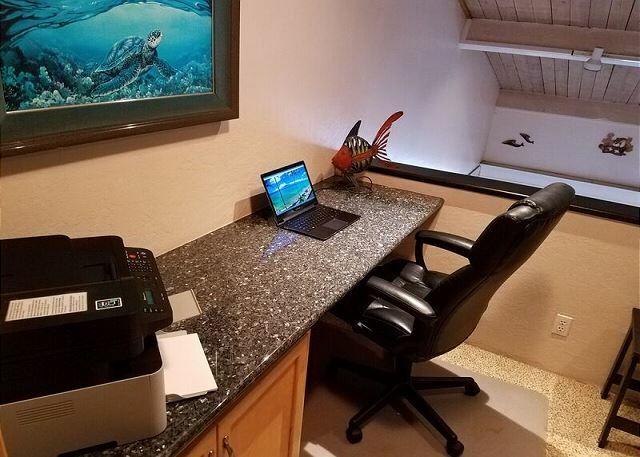 The condo has a loft office/reading area (separate from the private enclosed bedrooms with wireless laser printer/scanner available free for guest use, good lighting and comfortable seating. If you bring your laptop (or wifi enabled device, such as smartphone or tablet) you can use the free wireless broadband internet access available throughout the complex (even by the pool). Useful for getting some work done while on vacation (if you must), or searching and booking activities on Maui. 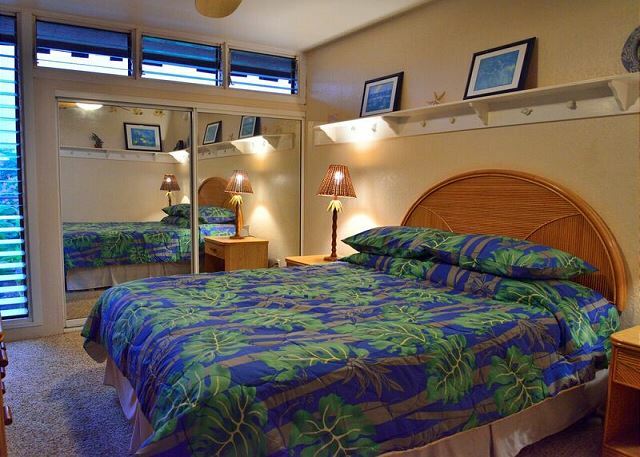 Ceiling fans in all rooms & refreshing island trade winds keep you naturally cool. 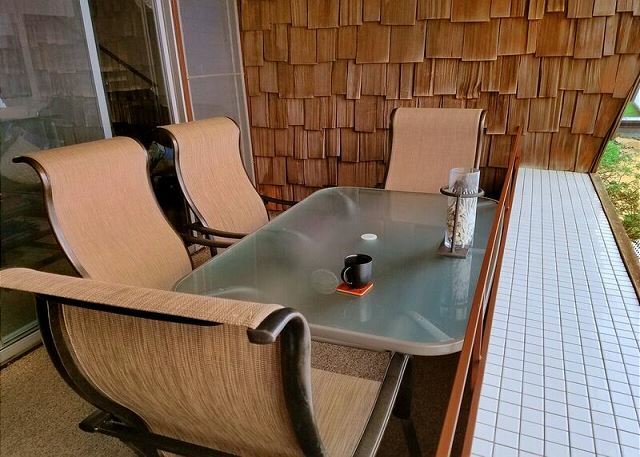 Dine on your private lanai (balcony) with a spectacular 2-island ocean view. Fall asleep to the sounds of the ocean. Kulakane 302 can accommodate a maximum of 4 guests in 2 beds. We stayed in Unit 302 with another couple we have traveled with before. 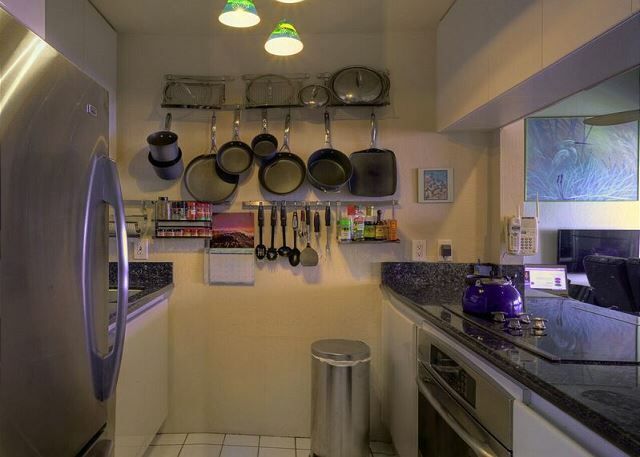 Spacious 2 floor unit with the 2nd bedroom/Bathroom on the top floor. Small kitchen but well stocked. The lanai was amazing and the view was spectacular. 30 steps to the main floor. Very walkable neighborhood with little stores and restaurants. 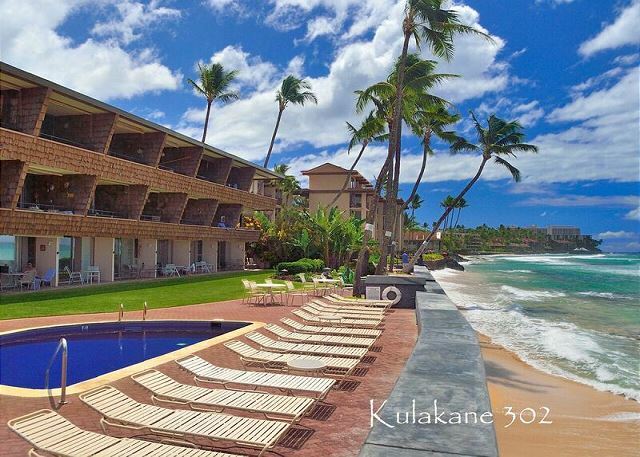 Snorkeling/swimming off the beach or relax in lounge chair or take a dip in the pool. three BBQ available to use too. No smoking in the units or in the main areas but a smoking area next to the street. Overall, a very good place and would use this rental again. Spacious condo in convenient location. Perfect for 4 people and the view is absolutely amazing. 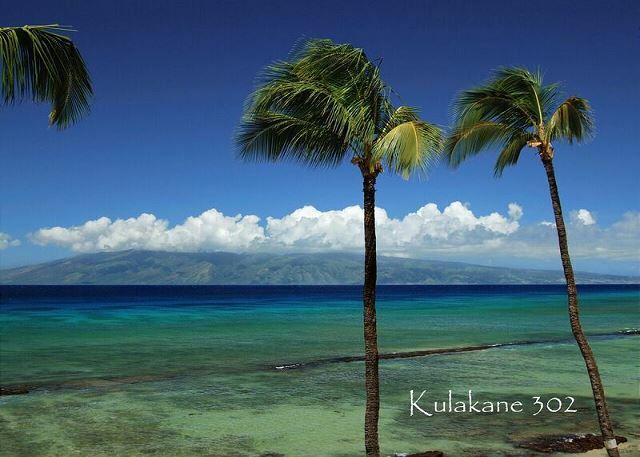 Can't say enough positive things about our stay at 302 Kulakane. Fantastic. Sound of ocean lulling you to sleep. Condo has everything. Husband travels for a living and doesn't like staying in hotels. This felt like home. Wish we could have stayed longer! Robert M from Winnipeg, Manitoba does not recommend this vacation rental. We found the unit clean and the kitchen was very well stocked. The location as far as amenities was great. However the lack of air conditioning made some days/nights uncomfortable. The noise from the road and roosters, who cockadoodled from about 2 am to morning made sleeping difficult. 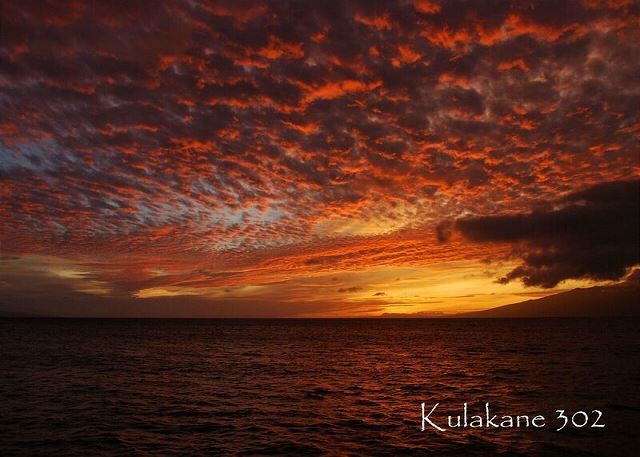 I may recommend Kulukane ....BUT with a big caution on the noise level and lack of A/C. Tony and Debbie the Property Mgrs were outstanding ! The Condo was amazing with a great view. Very clean. Everything we needed was provided even ice packs in the freezer. The ice packs came in handy when I broke my foot. 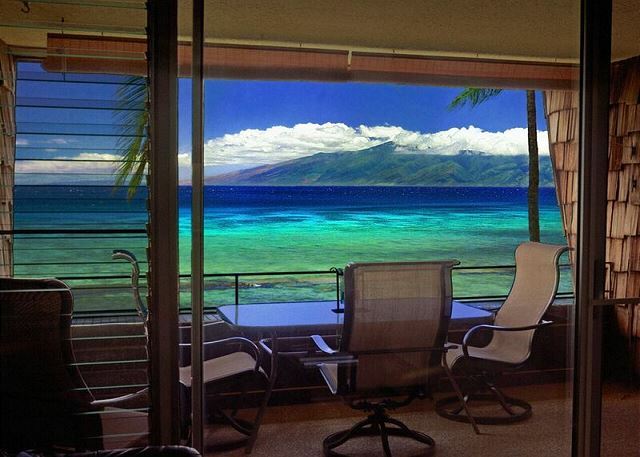 I spent a lot of time sitting out on the lanai reading, listening to the waves and watching the sea turtles. I came there with my granddaughter to spend time with her and to relax. This was a great place to relax. I would love to come back. Place was just perfect for our family of four. What we enjoyed the most is the amazing view! Condo had all the amenities needed for our 10 day stay. We thought we were not going to comfortable without the air conditioning but it was not needed the trade winds and the sound of the ocean is all you need to get a good night sleep! I highly recommend this condo! Wonderful! Got to see turtles and whales from the deck. Comfortable surroundings, convenient to many types of activities and great restaurants. Looking forward to our trip there in 2018. The condo is exactly as pictured and described. The kitchen is small but well stocked. The lanai is the highlight. 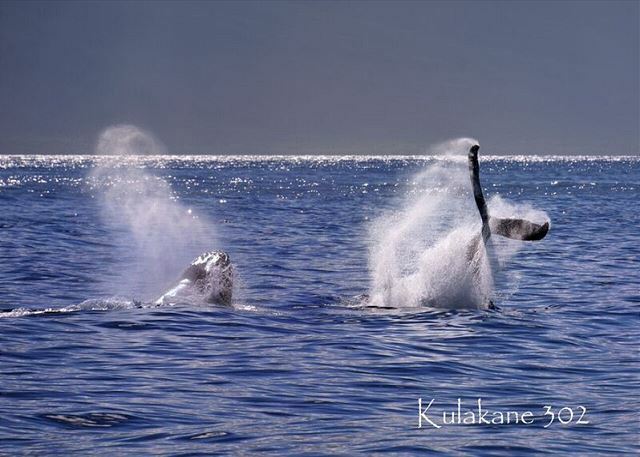 We saw turtles every day, rainbows, whales, and even a pod of spinner dolphins. Customer service provided by the owner and property manager were excellent. This was our first visit to this part of Maui. The condo is close to beaches, Fleming to the north, and Black Sand to the south. We visited during a particularly rainy two weeks but were generally able to find the sun. Overall, we were very satisfied with our stay. Amazing unit in a great condo! Fully stocked, beautiful condo. Unbeatable view. Great, friendly staff.